Thank you so much! We are so glad you had a good experience! Clayton Tile Has Been A Terrific Partner. For More Than 15 Years They Have Been A Trusted Source For The Very Best For Our Clients. Thank you so much! We always love when you come in also! We are so glad you had a fabulous experience! Thank you for your kind compliments! 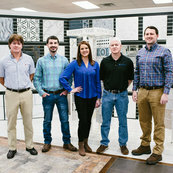 We're happy to hear you always find the tile you need! Its always a pleasure working with you! Emily, thanks so much for your kind words! It is always a pleasure to work with you and your clients. We look forward to working together for the years to come! Mary, we're glad your experience is always excellent. We look forward to continue serving you and your clients!